I had been Personal Trainer in a traditional gym setting about 12 years when I got the nudge for something new. While I loved (and still love) training my clients 1-to-1, after I had kids I really wanted – and needed more freedom with my time. Five a.m. clients and split shifts were no longer doable for me if I also wanted to make it to baseball practice and parent-teacher meetings. I wanted to spend more time with my family AND be able to help more people. I’d heard about the idea of Online Training and it all looked great on paper. Train your clients from your laptop while you vacation with your family in exotic locations and make millions of dollars??? Sign me up! Only one problem… I didn’t have the first clue how to start! It hasn’t been easy and it is still a ton of work but it’s given me more freedom to be with my family. And truthfully, it’s work that I really, really love. So instead, I’ll share some lessons I’ve learned along the way as well as a few cautionary tales so you can avoid making some of the mistakes I have. I was the trainer who would train anyone and everyone. Wanna run a marathon? I got you. Wanna rehab that knee injury? I’m your girl! Needless to say, this didn’t work so well in the online world. You’ve gotta be the expert in ONE THING, not a jill-of-all-trades. In order to figure out who your ideal client is or what your niche is, I found it helpful to look at what I could (and would) talk about all day long for free. Find a niche that comes very natural to you. Figure out who you want to help and make it your life’s mission to learn everything you can to be their expert. You may think that you’re losing out on valuable business if you choose not to help everyone. For example, if you suddenly developed a rare skin condition and needed help, who would you call? Your General Practitioner or a Dermatologist who specializes in that condition? You get the idea here. People want to talk to the expert. BE their expert. Once you know WHO you want to help, get to know them. Talk to them – find out what they love and hate. Find out what they’re struggling with as it relates to their health and fitness. What is the ONE problem in their life that they wish could just magically disappear? Then create a solution to that problem through your Online Program. So how can you get to know your ideal client? Well, a few simple ways really. You can interview friends and family who fit into your client profile. After a few of these interviews, you’ll start to notice some patterns in what people are struggling with. You can also join Facebook groups where your ideal clients hang out and listen to what they’re talking about. The advanced ninja move on this would be to create your own Facebook Group, but that can be a future step! It’s also important to remember that these are REAL people who need your help, not just numbers. Ask them what they need, and then show up for them by creating content (both free AND paid) that solves their problems. Before your family doctor could practice medicine, they had to go through a lot of training before they could treat their first patient. 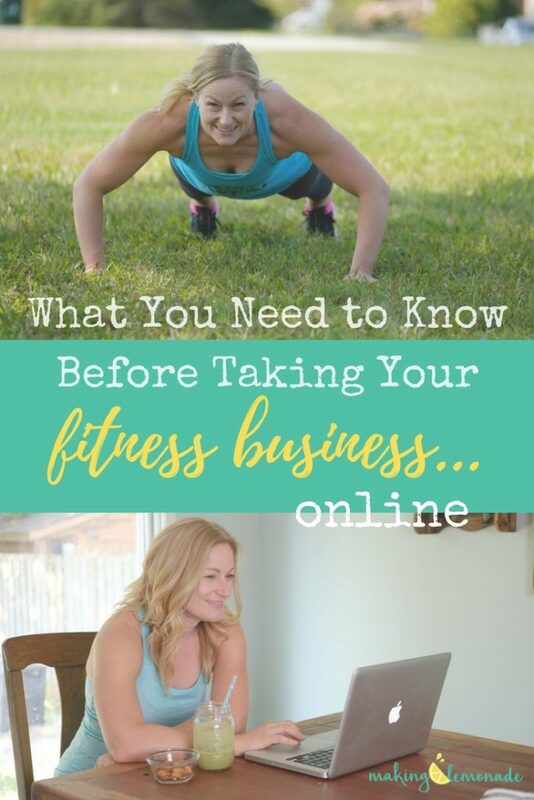 If you want to start an online fitness business, but you don’t know anything about technology (like me) or online marketing (still me! ), then it’s good to get some help. Hire a business coach; buy an Online Marketing for Dummies course, read everything you can get your hands on about how the stuff you don’t know. I was terrified to hire a business coach because it cost SO much money. Money that I didn’t have with a new business! However, it was truly the best decision I could’ve made. If I hadn’t asked for help and learned from a pro, I would most likely still be sitting in front of my laptop twiddling my thumbs over how to get started. The investment was scary, but I worked hard to get a return on the investment and it has MORE than paid for itself over 2 years later. On a related note, it’s also a good idea to learn how to delegate. You’ll start to notice the tasks that you are really good at and the ones that don’t come naturally to you. Do the work you are gifted at and outsource to a dedicated expert when you can. 4) Stop waiting for the perfect time – just start already! My Personal Training clients often want to wait for the perfect conditions to start their fitness program. It’s got to be a Monday, just after a long weekend when they are finally caught up on that work assignment, right? It will NEVER feel like the perfect time. Just start. Start with what you have. Email your friends and family and offer to help them. Start posting on your Facebook Page or Instagram more regularly. Post about all the fantastic fitness knowledge you have. You may feel like you don’t know enough, but you know more than the people you want to help. Share your knowledge. Your clients are out there waiting for YOU to share what you know. You are doing them a disservice by keeping yourself a secret. YOU have the power to help people and that is a huge gift. You already know enough. Don’t put it off any longer. Start helping people today with the tools you have. Your future clients will be so thankful you did! Kim Holmes is a Personal Trainer and the Owner of My Fit Coach. 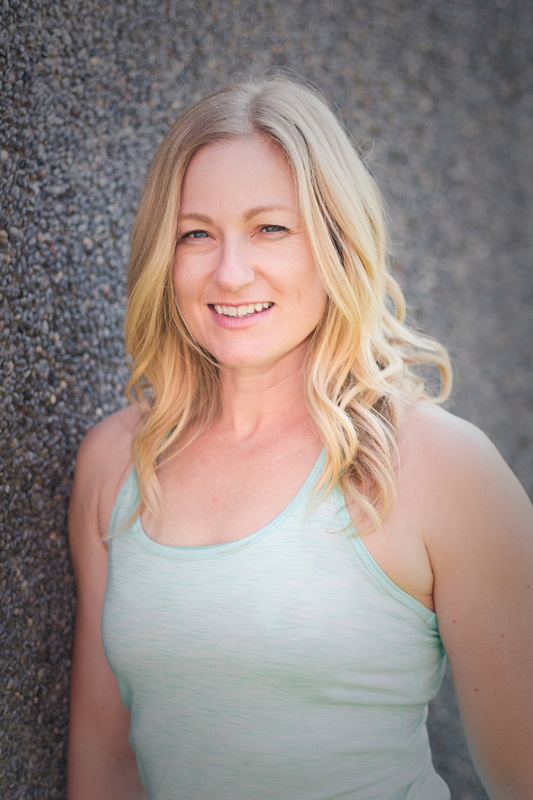 She helps busy Moms care for their bodies (and minds) through Online Fitness and Nutrition Programs. As a Mom of two young sons, she understands that you don’t have hours to spend at the gym. Her Online Programs are efficient, fun and most importantly, they make fitness fit into your REAL life.